If you were convinced of the non-existence of ghosts, Big Foot and all the other mystical creatures conceived on the set of the Lord of the Rings—you may have to think again. 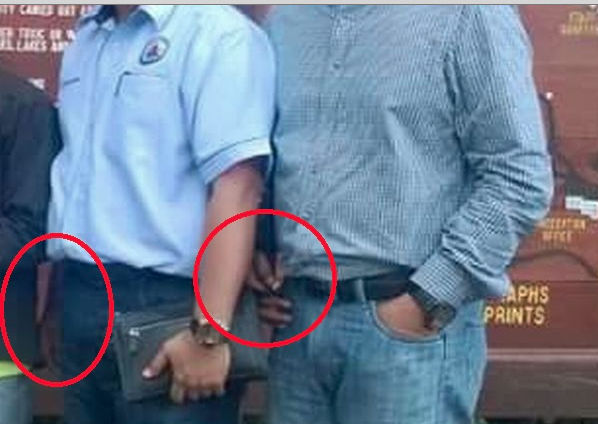 After a 5.9 magnitude earthquake that recently hit Sabah, a picture has been circulating on social media of a pair of dark, disembodied hands that magically appeared when a group of PKBS members were getting their picture taken. The images that have since, gone viral were taken with different gadgets—a mobile phone and a Nikon camera—but both photos captured the image of the additional limbs. 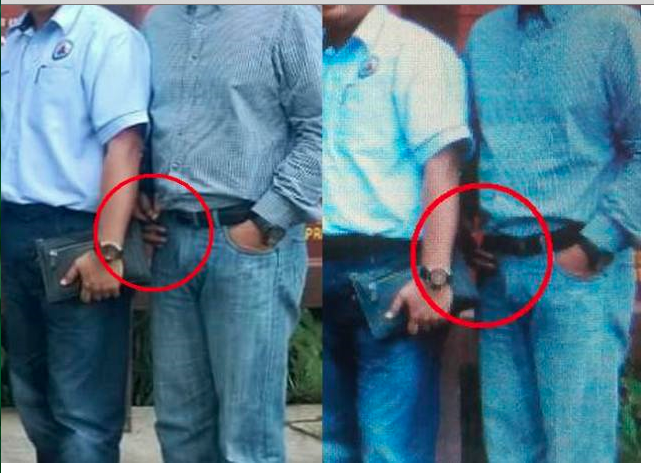 While both devices captured the hands in the picture, there was some disparity between the two. 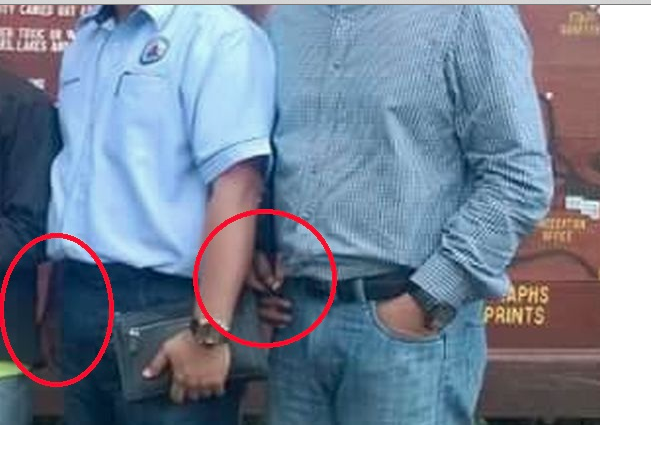 The picture taken from the mobile device caught a pair of extra hands while the Nikon camera only managed to capture just an additional hand. 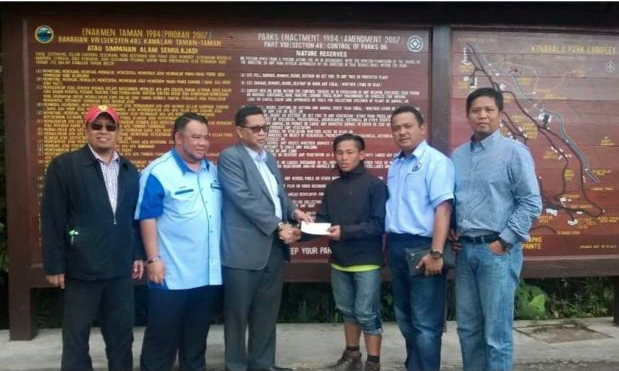 According to The Star Online, Persatuan Komuniti Bugis Sabah (PKBS) vice-president Samsuddin Yusop said that neither of the images taken at the base of Mount Kinabalu was altered. 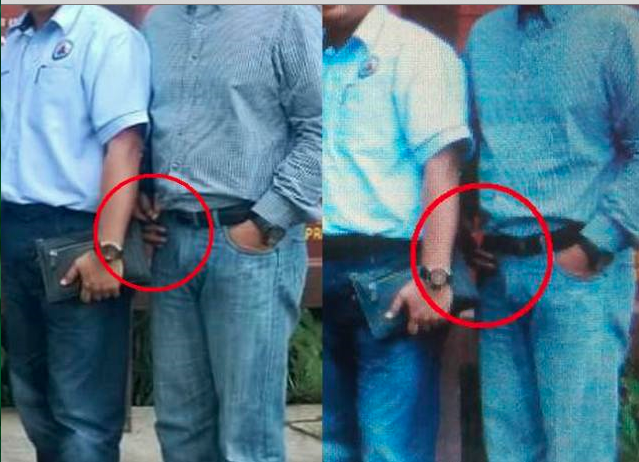 In fact, the former Universiti Malaysia Sabah (UMS) corporate communications head mentioned to The Star Online that many people enquired them regarding the picture and they were having difficulty determining whether the hands belonged to a makhluk (mysterious creature) or whether there was an issue with the camera. 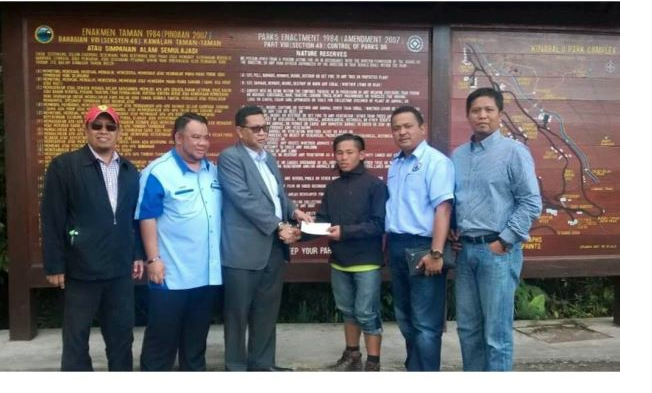 The pictures were taken by the PKBS group on Tuesday after they visited the mountain to present their donations to the mountain guides, police officers and to the Mount Kinabalu Earthquake Fund. People have reacted differently to the photographs but the most common reaction tends to one guided by superstition or more likely the fear of the unknown. Here are a few responses from The Star Online. Maybe there’s a lesson that this image could teach us. How about we say a prayer? Misbahuddin Rida, the man who was graced by the mysterious hand, on the other hand was more amused than perturbed. I guess that counts as an experiment. In my opinion, I’m guessing it’s just another fad or another optical illusion like the gold and white dress. Or this could just be another sign that we should migrate to another planet—maybe Mars. For all we know, it could just be a shadow (read: the shadow of death) or maybe it was just the camera angle. After all, we all know what camera angles are capable of, like turning this normal adult-sized rat into a gigantic human-eating monster.